We have two different shirt prints that we offer. 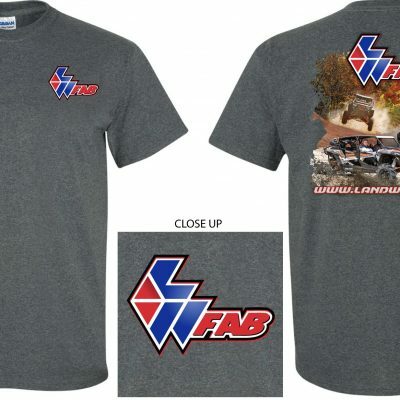 We have the logo print which is printed on the front and back of the shirt. 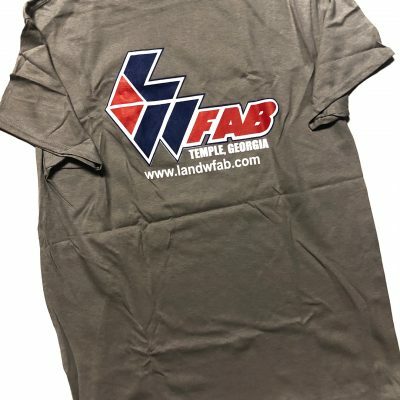 The black shirts offered are 100% cotton and the heathered grey are 50/50 cotton/poly. The second is our newest L and W tshirt, which showcases some of out builds in action. All of these color options are a 50/50 cotton/poly blend.